THE Scotsman today carries an obituary of David Reid, who, besides being a church minister, had spells as a religious broadcaster on BBC Radio Scotland and an adviser on religious affairs at STV. BEGINS a media release posted on allmediascotland, from Mike Ritchie Media: “Celtic Music Radio 95FM, the charitable community radio station based in Glasgow, has broken its audience record for this year’s Celtic Connections [music festival]. PS The release has been tweeted almost 100 times. To share, on social media, an article you see on allmediascotland.com, just open up the icons that ‘sit on top’ of the accompany image. One of several twitter feeds set up by allmediascotland.com is @allMusicPR, comprising music-related media releases posted on the site, by third parties. A STAKEHOLDER and communications officer is being sought by Smart Energy GB, to be based in Edinburgh – as advertised here on the allmediascotland.com media jobs board and repeated on twitter.com/allmediajobs. BEGINS the website, journalism.co.uk: “Smartphones are everywhere in the English-speaking world, and around the globe they number one for every four people. The debate is a podcast. 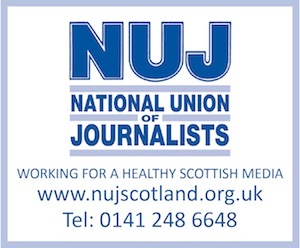 BEGINS the website, a516digital.com: “RNIB’s [Glasgow-based] Insight Radio station has announced that it will cease transmission on Sky channel 0188 on Monday 9th February 2015.